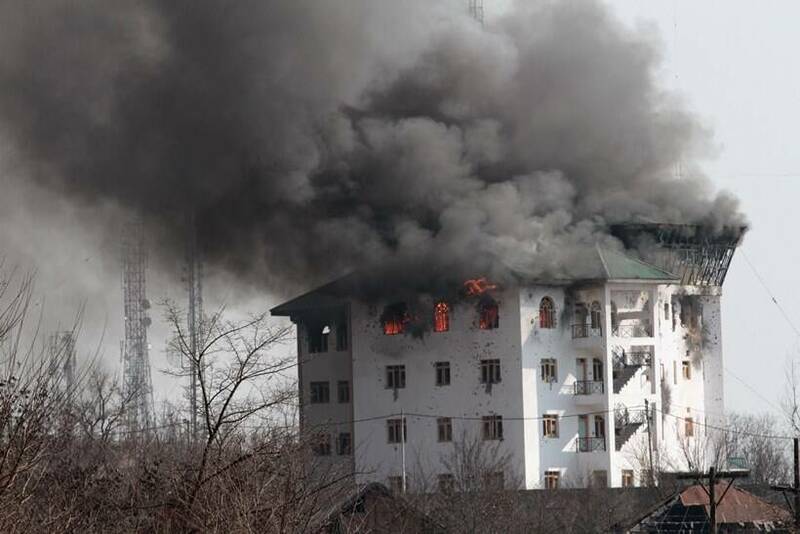 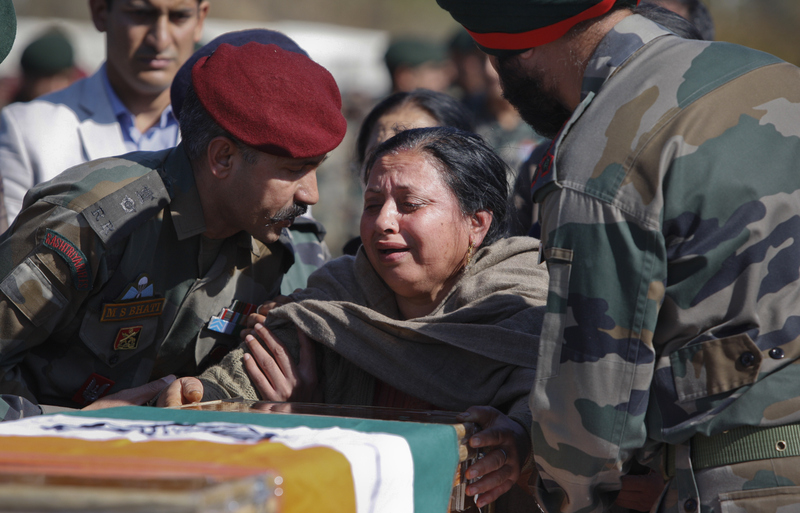 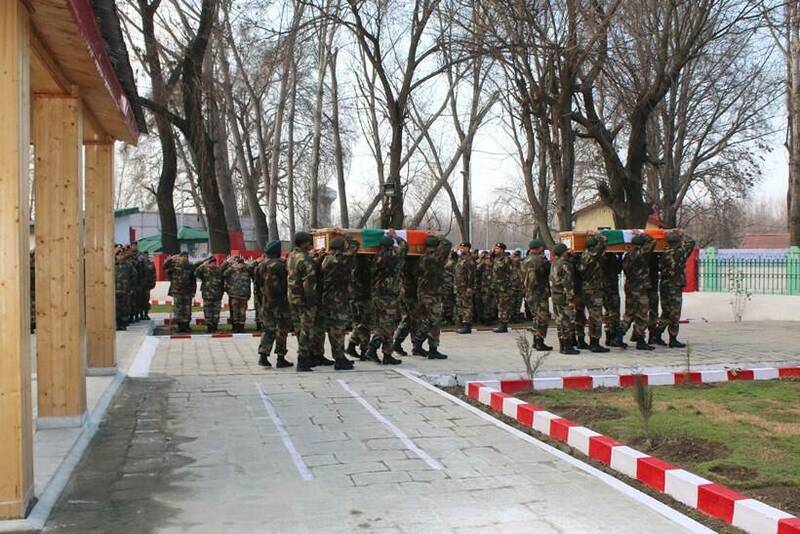 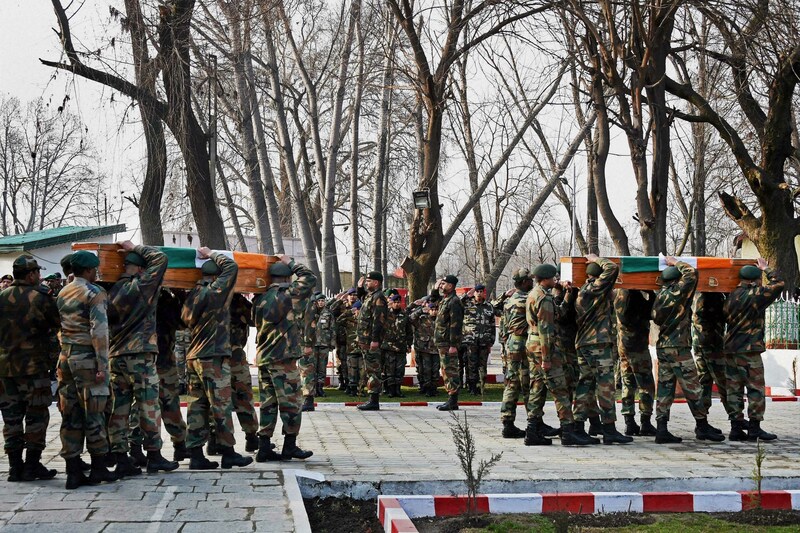 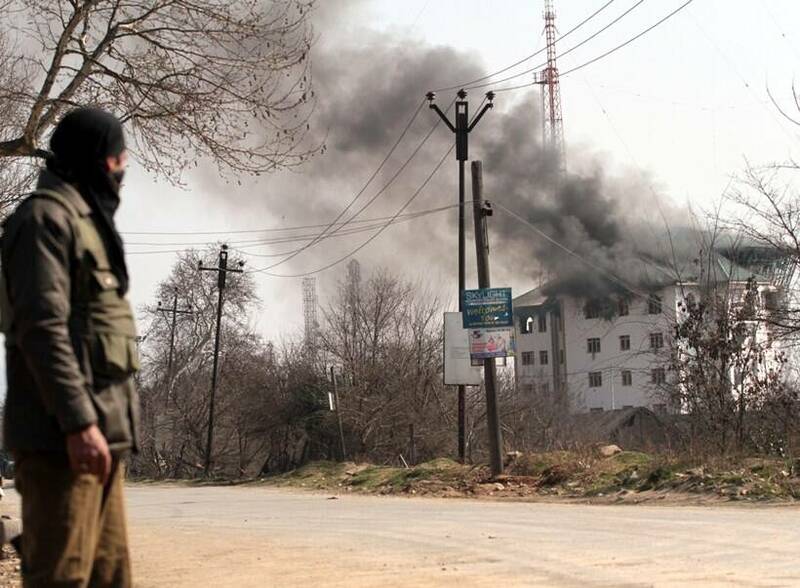 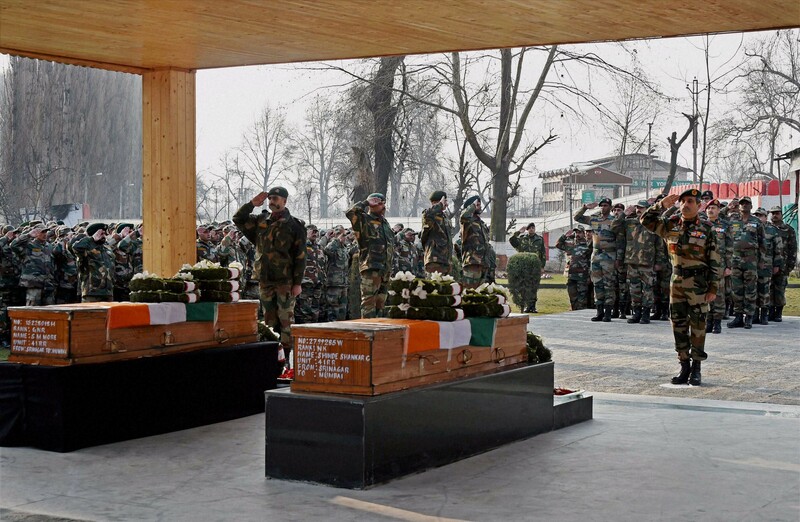 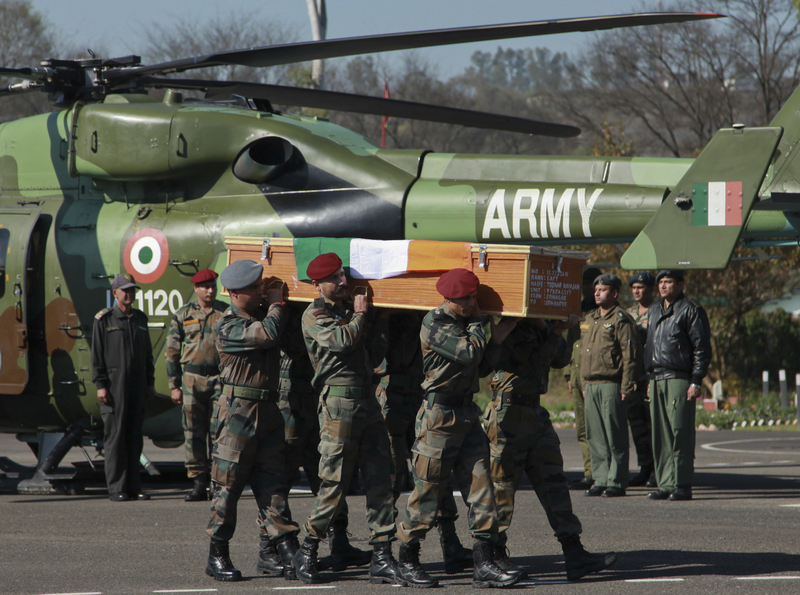 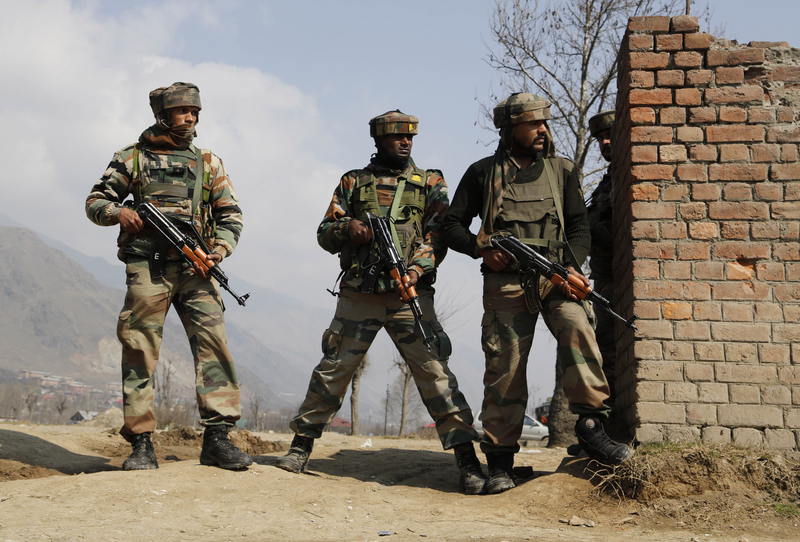 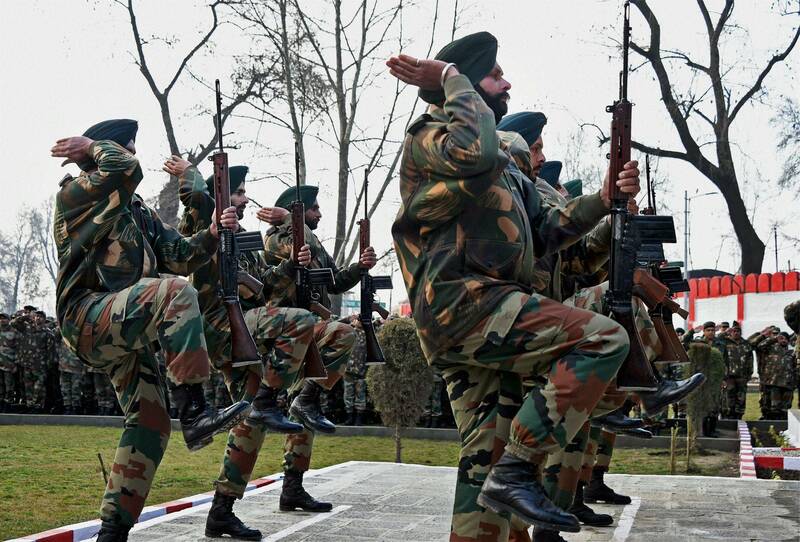 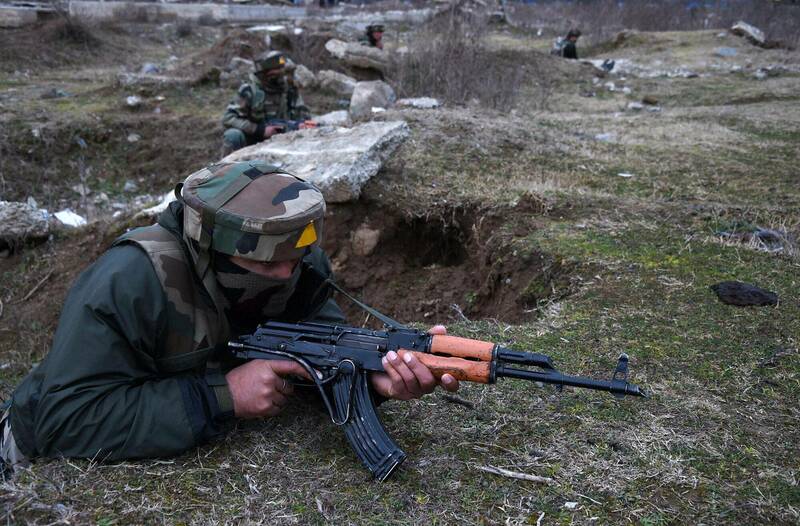 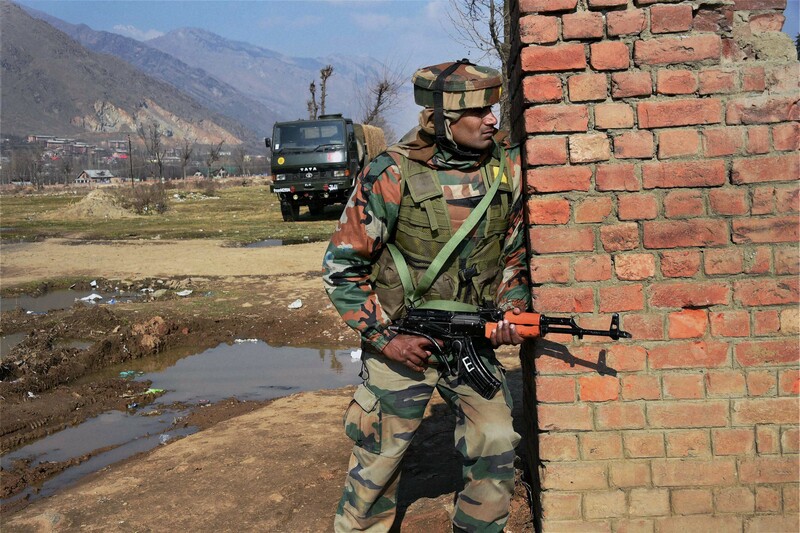 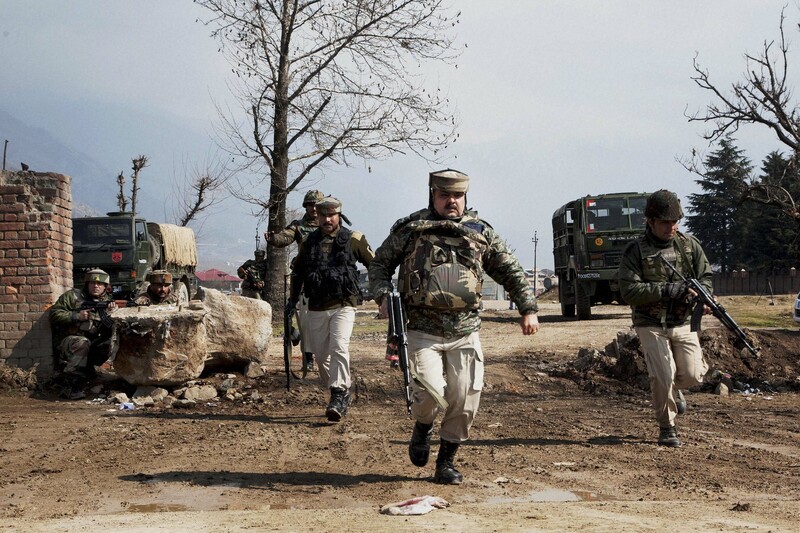 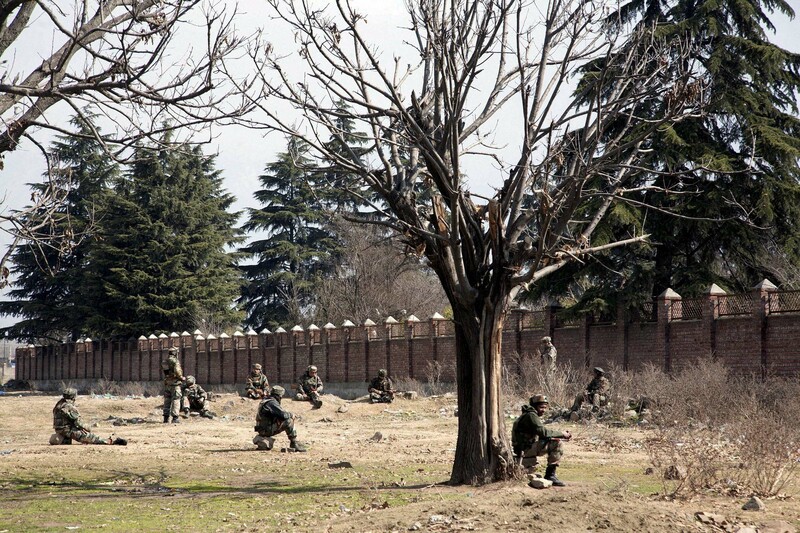 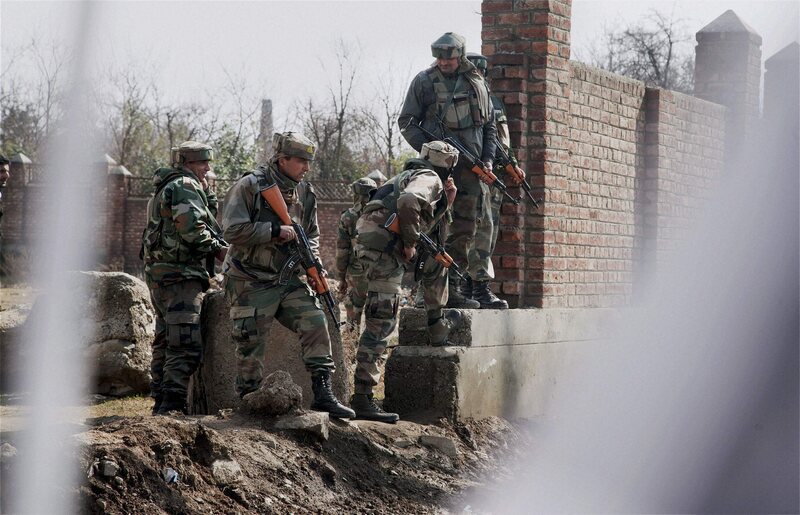 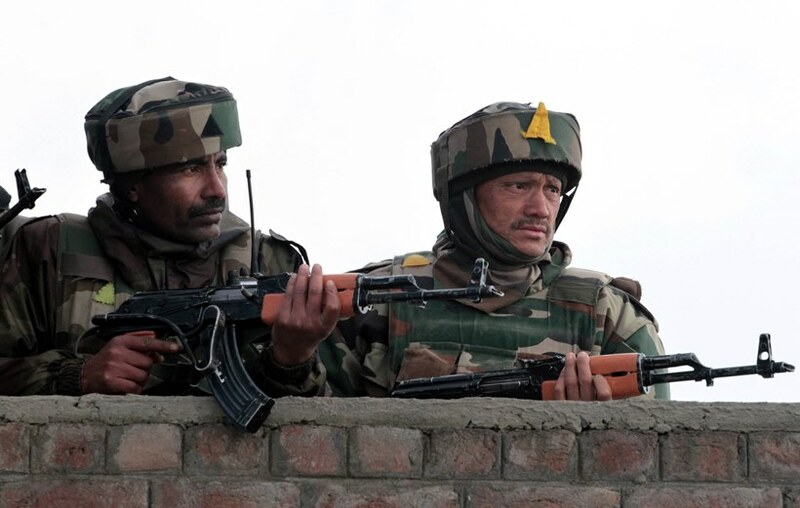 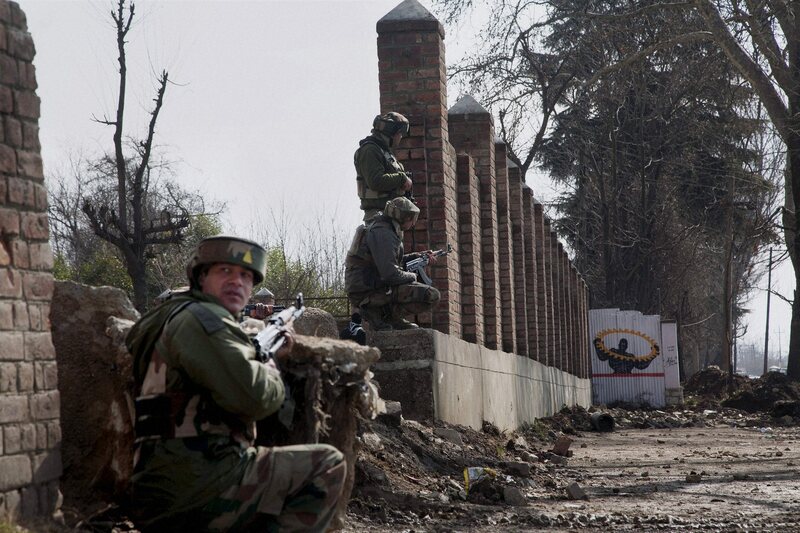 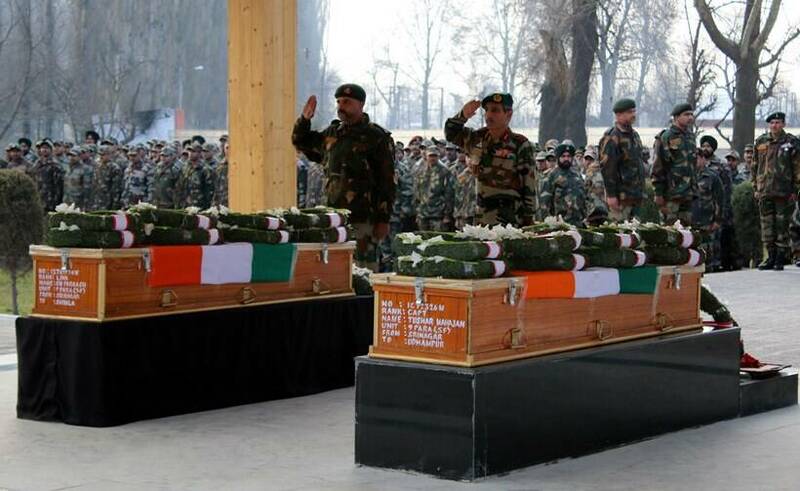 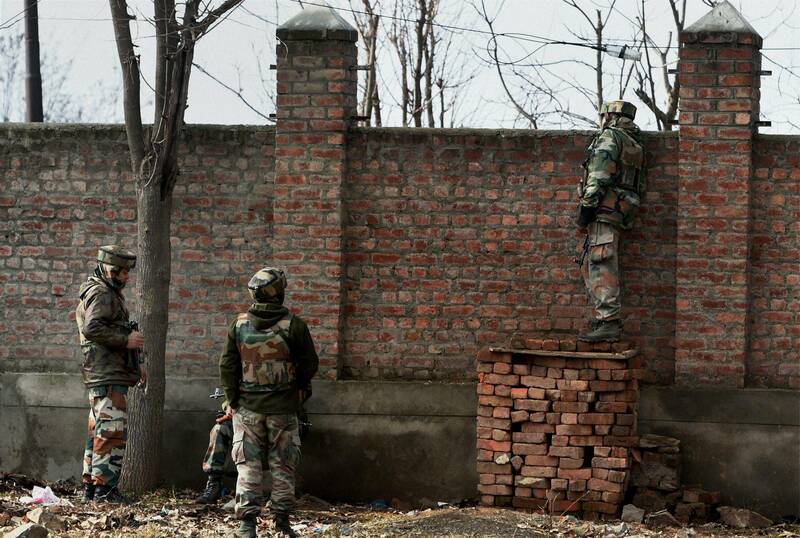 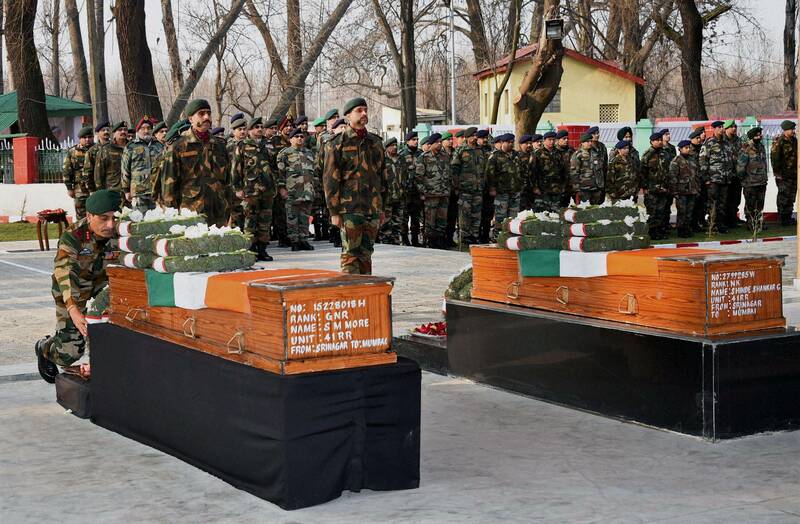 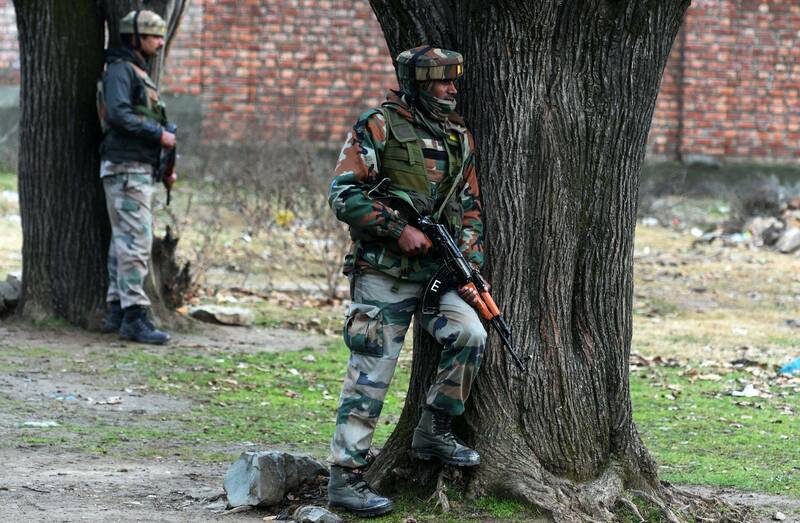 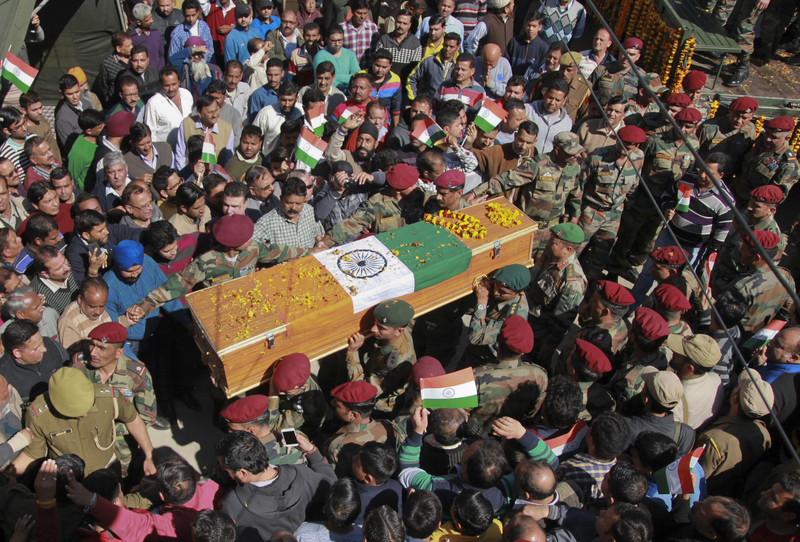 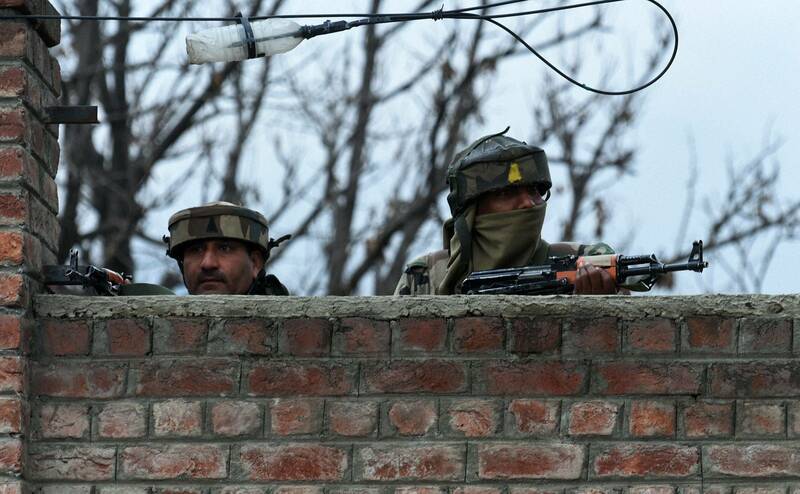 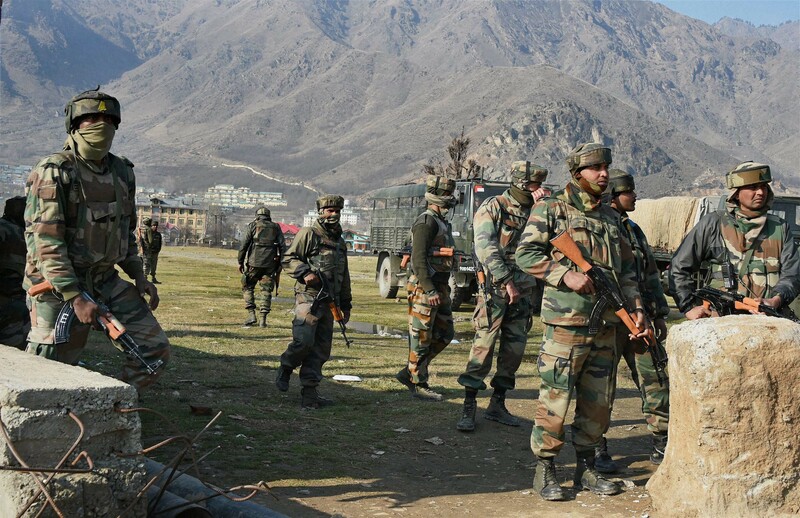 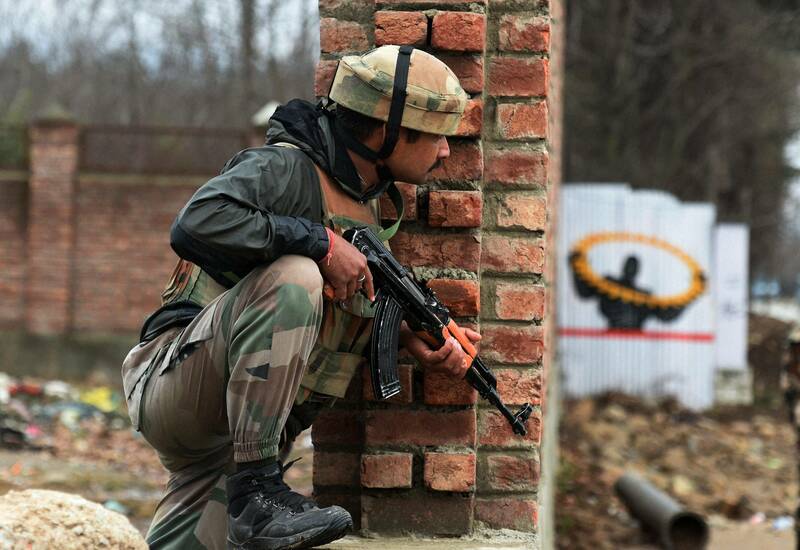 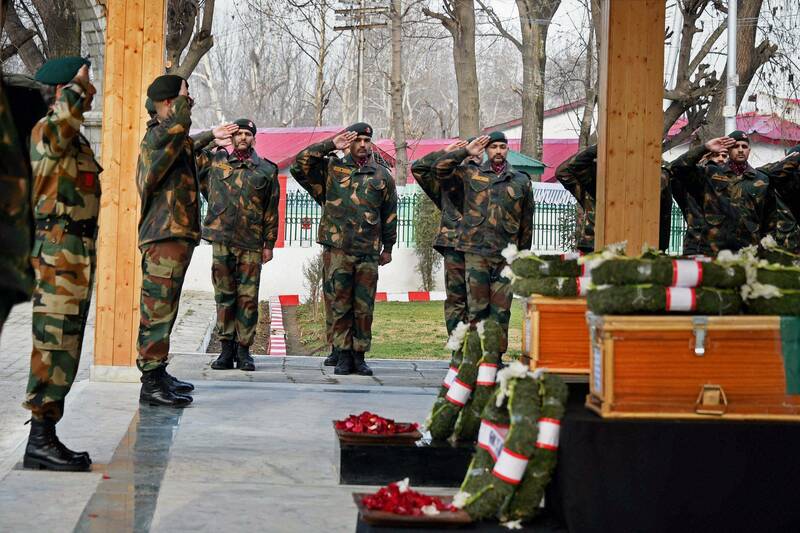 Five soldiers, including two Captains, and three militant were killed in the fierce gunfight with a group of terrorists holed up inside a government building on the outskirts of Srinagar in the encounter that began on Feb 20 afternoon. 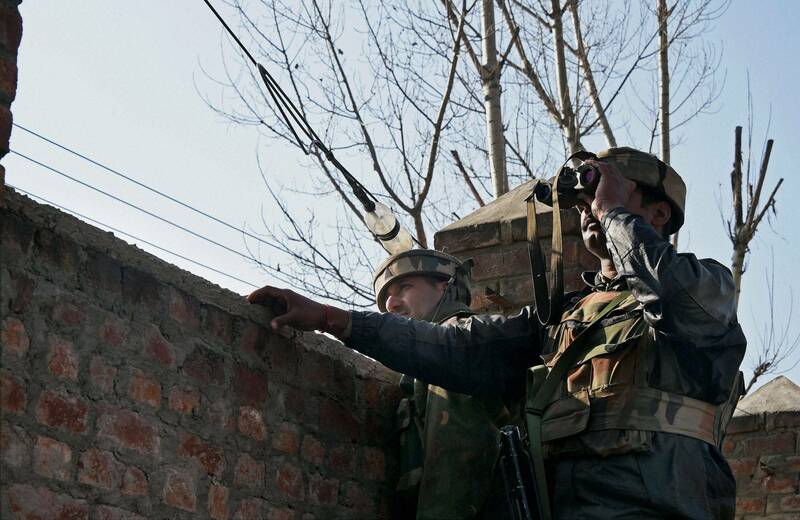 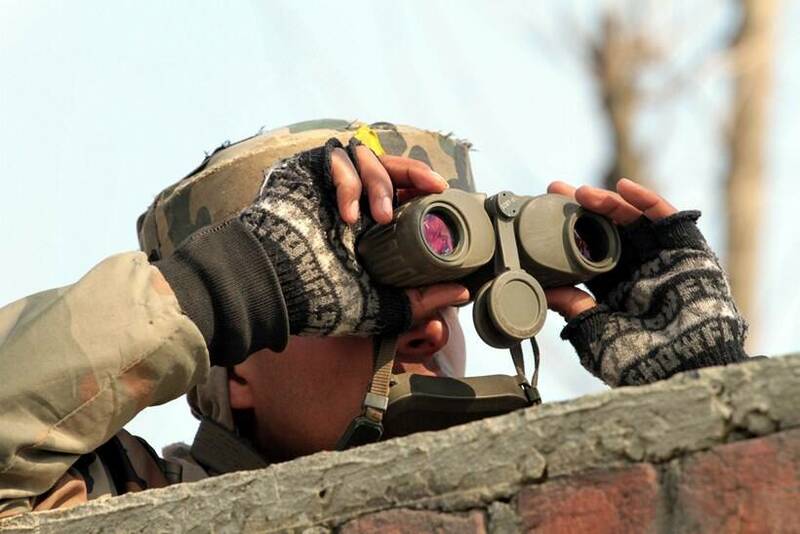 Army soldier uses binocular to locate militant positions near the site of a gunbattle in Sempora Pampore, some 15 km south of Srinagar on Monday. 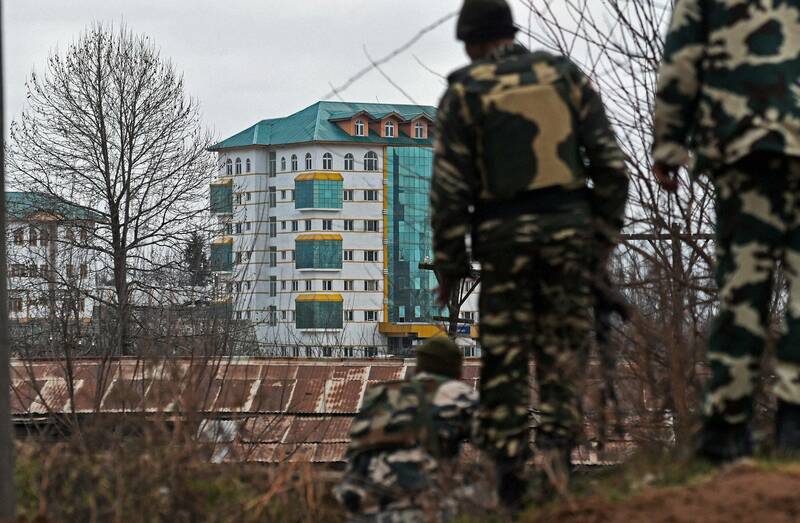 The encounter that started on saturday (FEB 20) entered third day on Monday.EXPRESS PHOTO BY SHUAIB MASOODI.